M.I.A. released an eight-minute mix of new material today as the soundtrack for the fashion house Kenzo's Fall/Winter 2013 collection at its Paris Fashion Week show. She also made the track available for streaming this morning on the website MatangiMixtape.com. The track shares a name with M.I.A. 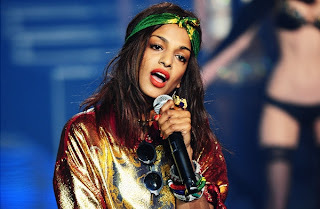 's upcoming fourth album (the title references a Hindu goddess as well as M.I.A. 's birthname), and might give some hint of what to expect from Matangi. The new album is slated for an April 15th release.